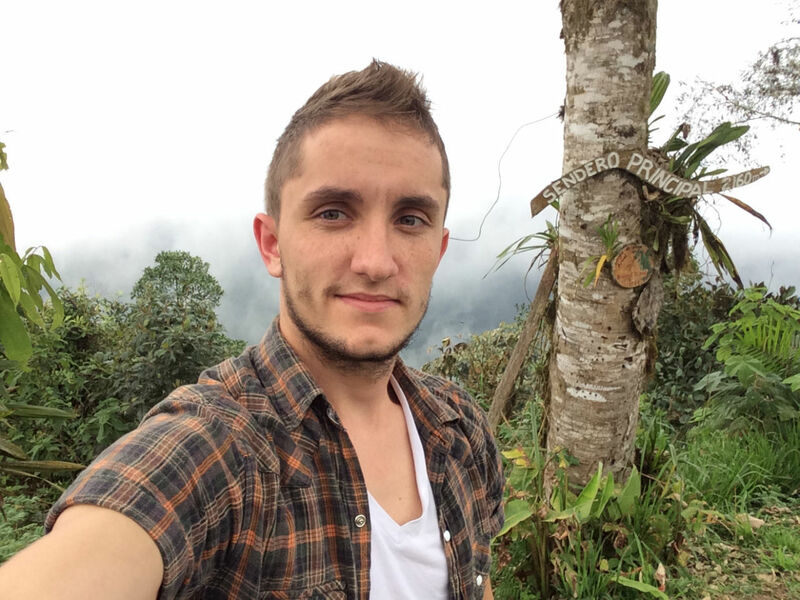 Daniel Ingram is a PhD student at the University of Sussex interested in the human impacts on biodiversity, such as agriculture in the tropics and the growing bushmeat trade. Here Dan tells us about his recent fieldwork in Ecuador and how scientists measure and monitor the carbon locked up in rainforests. 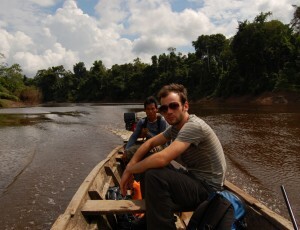 Bio: Dan is a UK-based conservation scientist who is interested in conducting research at the science-policy interface. 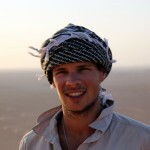 He is currently working on his PhD at the University of Sussex in Conservation and Ecology. I work on trying to map and model the exploitation of terrestrial species globally using a large database I have built as the main part of my PhD at the University of Sussex. At the moment my main focus is on bushmeat hunting across sub-Saharan Africa. Throughout my childhood I’ve always spent a lot of time outside with my family, from hiking to snorkeling. As I got older, I became worried about the huge volume of resources we extract from the Earth. Given human population growth, I was concerned how this might affect biodiversity and whether our current actions are sustainable. I followed an academic path to get into conservation, through completing degrees at the University of Birmingham and Imperial College London and designing conservation based research projects. I was super keen and made sure to collaborate with some great organisations like Archbold Biological Station in Florida and UNEP-WCMC in Cambridge. 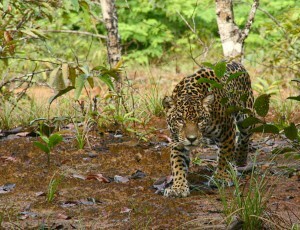 What were you focusing on this summer out in Ecuador and why is it important? 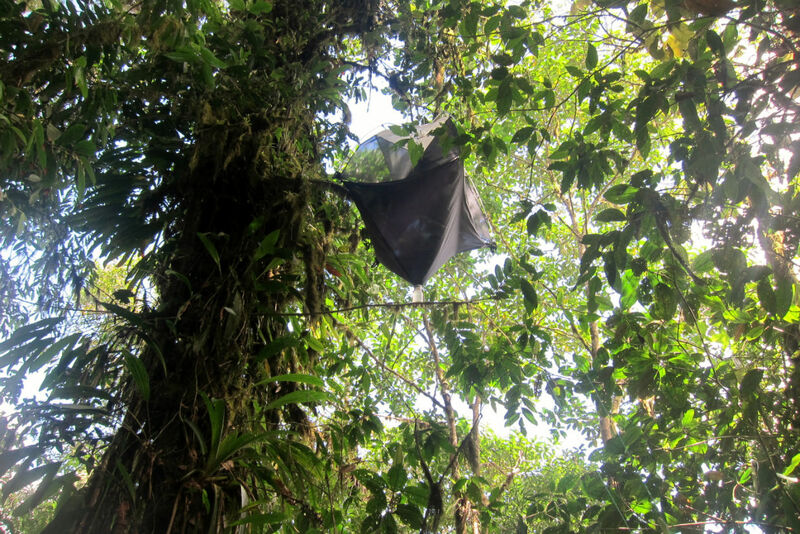 This article is about a side project I was working on this summer in the Andean cloud forests and the lowland Amazonian rainforests of Ecuador, which is not part of my main PhD research. Both of these spectacular forests are among the most biodiverse places on Earth, and support an incredible number of species found nowhere else. It is important to conduct research in these ecosystems, not only to understand the ecosystem dynamics and the species that inhabit them, but also to investigate the best ways to protect them. 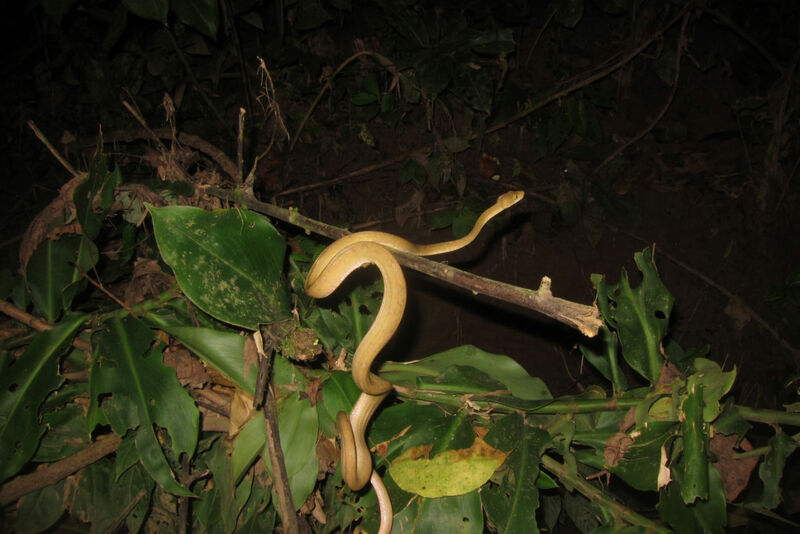 As a large team, we conducted research on the herpetofauna, invertebrates, and mammals, and on using sound to measure biodiversity. My research in particular involved collecting data on forest structure and carbon in different habitat types. Measurements taken from the trees included: ground vegetation cover, canopy cover at different heights, height, diameter, dead wood and epiphytes. These types of data give us an idea of habitat structure and type, age and connectivity in the forest. The habitat and carbon data I collected will hopefully be involved in the REDD+ initiative (Reducing Emissions from Deforestation and Forest Degradation) , an initiative aimed at putting a value on the carbon stored in forests as an incentive for countries to reduce emissions from deforestation to constrain the impacts from climate change. 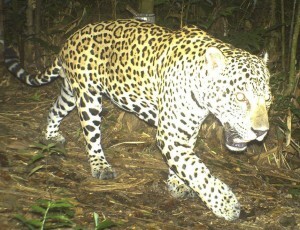 The habitat data was also collected in many different habitat types, so as to quantify the differences between sites for the other animal data collected on the expedition; which can be used to investigate what drives differences between sites. 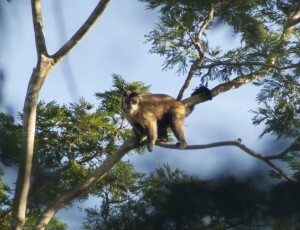 ABOVE: Some friendly local rainforest residents. ID anyone? "I think that conservation research is building a big evidence base to really make a difference to policy and on the ground"
Tell us more about your research sites, how difficult is it to get there, and what is day to day life like in the field? At our cloud forest site, we work in Santa Lucia, a research station atop the Andes with stunning views seated above the clouds. We get to Santa Lucia by taking a two-hour bus from the capital city, Quito, followed by a two-hour hike. We stay in wooden cabins and have guides to show us some of the trails and where certain species have been spotted, we travelled to all of our sites by foot. The food was great; the staff at the research station fed us a variety of vegetables, rice, chickpeas, plantain, yuca and meat. At our lowland Amazonian site, we work from a small village a two hour motorised canoe ride from the nearest road. This site is very different; we stay in tents on wooden platforms near a small Huaorani village. It rains a lot at this site in the afternoon, and is swelteringly hot when it isn’t raining. We travel to many of our field sites on foot, for the other sites we use canoes. Food here was fairly similar to the cloud forest site…..just with more rice! 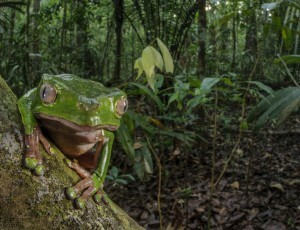 These two sites were chosen because they are situated in two of the most unique forest systems in the world in terms of biodiversity and are both threatened by encroaching deforestation. The cloud forest site was easier to work in because the weather was more predictable and less harsh; however, I enjoyed the work in the amazon site more because the environment was wilder and the animals were more obviously present. What do you think the local people in these field sites make of what you do? At first, they often find it quite strange when they see me in the forest measuring trees, or doing any kind of data collection really. When you chat to them and explain the project they really get on board. It is obvious that they see the impacts that humans are having on the environment and recall differences in biodiversity over their life. 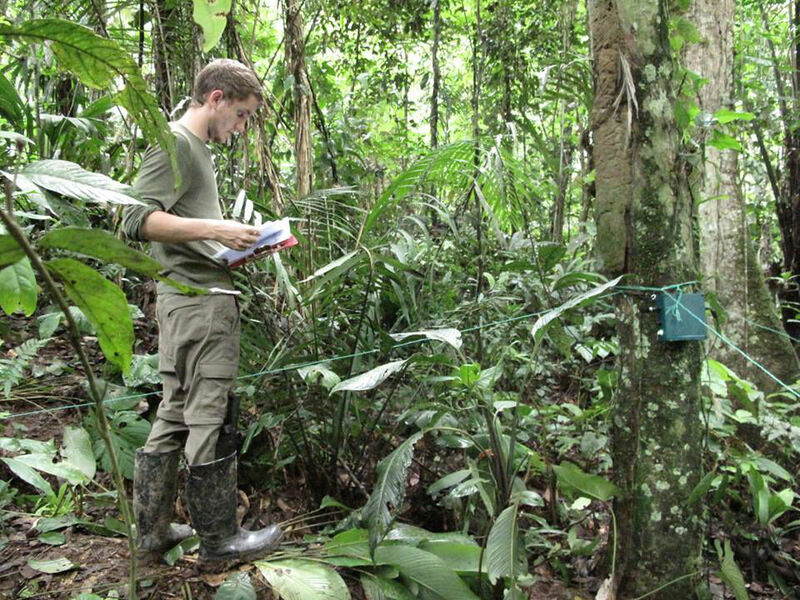 LEFT: Dan recording measurements in a rainforest quadrat (photo: Alice Eldridge) RIGHT: Malaise trap in the rainforest canopy. "Lets face it, you’re going to get muddy after a few hours of field work so you might as well just go for it from the start.."
Feeling like you are making a difference must be hugely rewarding, what are the highlights? The Jungle Rumble: When you are lying in your tent ready to sleep, the sound of the jungle is overwhelming. You are subsequently awoken by the most amazing dawn chorus. The Shiripuno River: Travelling between our field sites by canoe is one of my favourite experiences. It’s a great opportunity to look at the wildlife and birds. Many of the children from the villages sit beside the river and wave at you as you go past. Living with the Huaorani: Living with these people offers a unique insight into their culture and life style. From their traditional wedding ceremony to their blowpipe hunting skills. Variety: Every day you see a species you didn’t see on a previous day and might not see ever again, it’s very exciting! A personal favourite is the Spectacled Caiman. And of course, the downsides? The most challenging aspect for me was a combination of the heat at the lowland site and the stingless bees. When you are standing around taking measurements from the trees, being sweaty and therefore covered in tiny stingless bees gets difficult! Lastly, we hear a lot of negative things about conservation in the news, but despite all this, are you optimistic for the future? I am. I think that conservation research is building a big evidence base to really make a difference to policy and on the ground; and, coupled with huge developments in computer science and mathematical modelling, we can now do more with the data than ever before. In an age of social media, we are also able to disseminate information and highlight aspects of conservation easily to a wider audience. 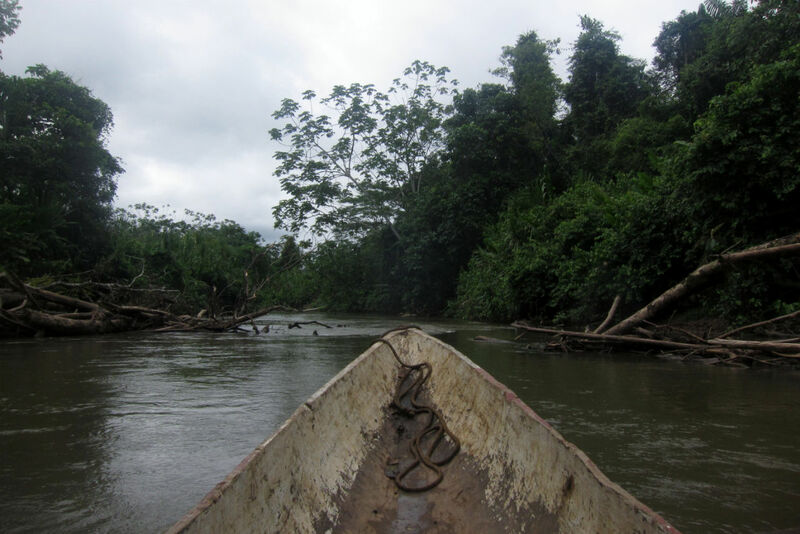 TOP: Traveling to a field site by dugout canoe. 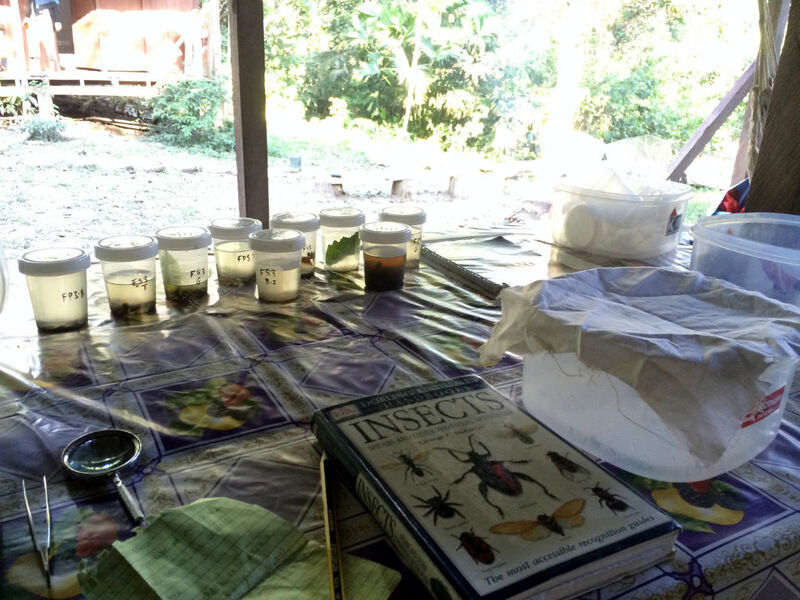 BOTTOM LEFT: Collections of specimens in the field. 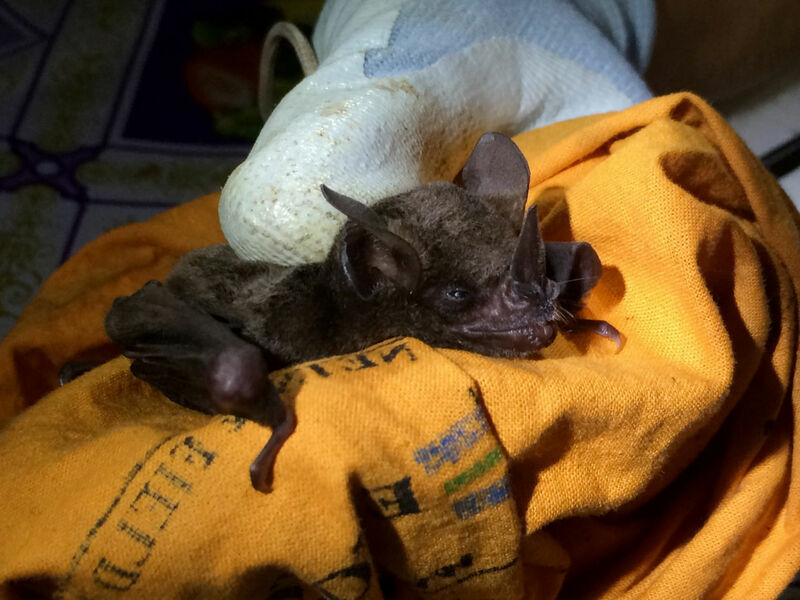 BOTTOM RIGHT: Bat species being carefully handled. All images copyright Dan Ingram and Alice Eldridge, and may not be reproduced without permission. 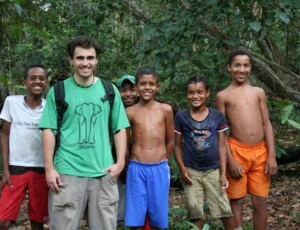 If you could share just a few pieces of advice with anyone interested in rainforest fieldwork, what would you suggest? 1) Keep hydrated. Carry enough filtered water for your fieldwork that day and carry rehydration salts all the time. 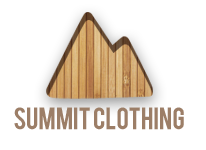 2) Wash yourself and your clothes and keep a stock of clean clothes. This will significantly reduce the presence of stingless bees….they are attracted by sweat. 3) Have many dry-bags. It rains a lot. 4) Go for it. Sometimes the trails are very muddy, but lets face it, you’re going to get muddy after a few hours of field work so you might as well just go for it from the start, it will save time. Wellies are very useful here too. 5) Give yourself some ‘me’ time. It’s incredible to be in such an amazing environment, and when you are busy collecting data you can miss the chance to appreciate everything around you. I found it really nice to sit by myself for the odd hour in the morning or evening and just absorb everything around me. It’s really quite an experience.